You don�t need to be from the jungle moon of Endor to party with your fellow Ewoks, but it certainly doesn�t hurt! For those of us stuck on Earth we thankfully have the officially licensed Adult Ewok Hood to help make our Star Wars dreams come true. Dress up as one of these iconic little fur balls and help stop the evil Empire! 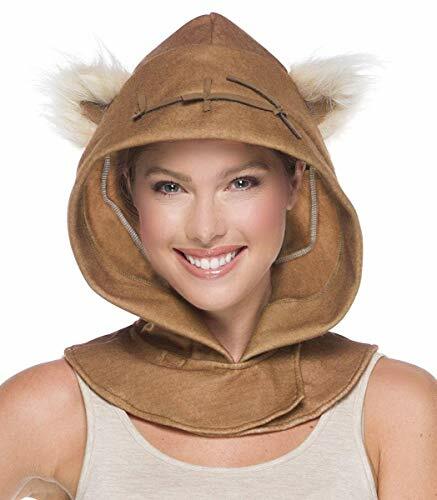 This authentic looking Ewok hood comes with attached ears for extra authenticity.